Umbracity aims to solve the problem of unexpected urban showers with a shared-umbrella service. They've rolled it out in soggy Vancouver, and the deal is that you get to use an umbrella from any of their kiosks for free for 48h, but if you keep it longer, it's $2/day to a maximum of $20. I've always been amazed by the water-soluble umbrella sellers of New York City, who materialize every time the skies open, selling $3-5 umbrellas that usually don't last as long as the rain. Switching those out for higher-quality umbrellas that don't end up in a landfill at the day's end, but also don't require you to spend a bunch of money on an umbrella you don't need to join the pile of forgotten umbrellas at home. You can use your umbraCity umbrella for free, as long as you return it within 48 hours of each rental. After the 2 day grace period, your account will be charged $2 for each additional day, up to the maximum of $20. For example, if you borrow an umbrella on a Monday at 9 AM and return it before Wednesday at 9 AM, you will not be charged. If you instead return it on Friday at 9 AM, you will be charged $4. 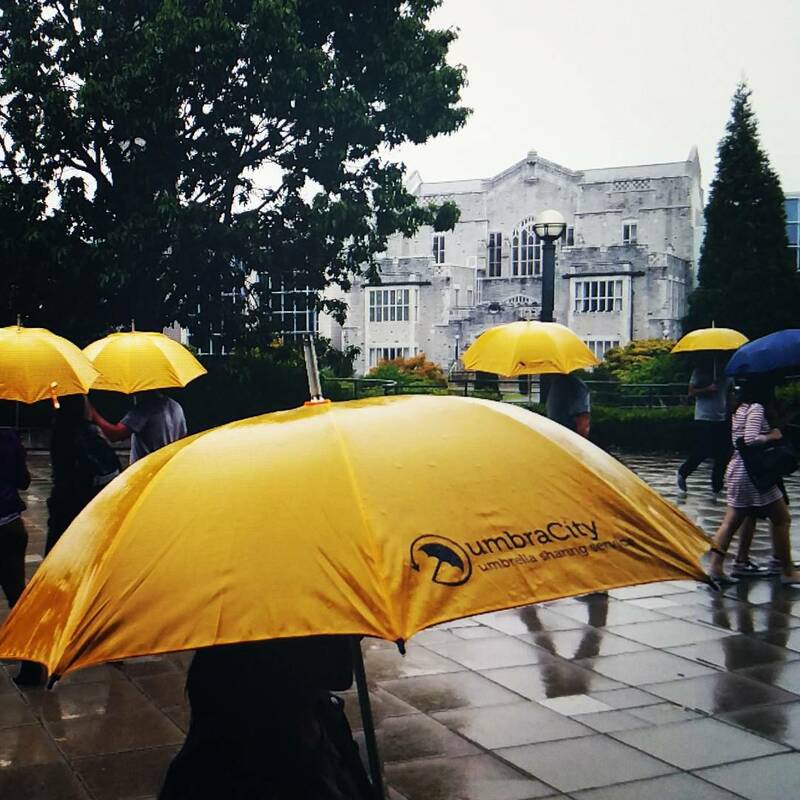 You can borrow more than one umbrella at a time, however, the 2-day grace period only applies to one of the umbrellas you have in your possession.